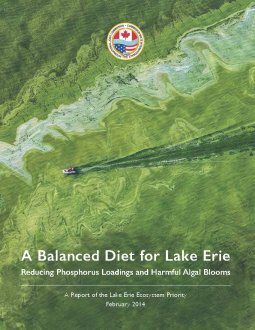 A Balanced Diet for Lake Erie: Reducing Phosphorus Loadings and Harmful Algal Blooms. The report provides scientific and policy advice to governments as they implement plans to respond to deteriorating Lake Erie water quality. 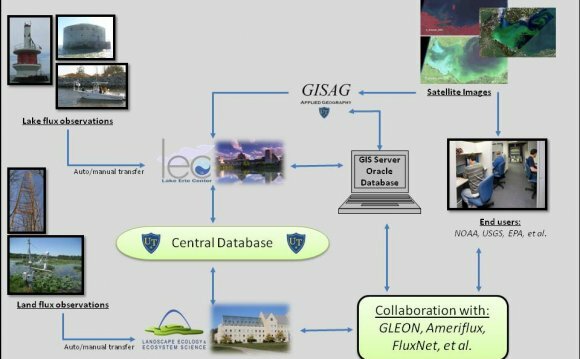 The IJC made Lake Erie a priority area of attention in response to an algae bloom in 2011 that was the largest ever recorded. "The public has told us, and research has confirmed, that Lake Erie is impaired by an excess of nutrients that feed harmful" said Lana Pollack, U.S. chair of the IJC. "We commend the U.S. and Canada for their work and investments to help Lake Erie, but it’s time for governments at all levels to put the lake on a diet by setting targets and achieving real reductions in nutrient loads." Based on the research of dozens of scientists from both sides of the border, the IJC found that water quality has declined over the past decade, with impacts on ecosystem health, drinking water supplies, fisheries, recreation, tourism and property values. More than 400 people attended public meetings after a draft report was released in August 2013 and today’s final report reflects more than 130 comments and additional research. "I grew up on Lake Erie and know firsthand that this precious lake can’t afford more fouled beaches, dead fish and contaminated drinking water, " said Gordon Walker, Canadian chair. "Government action saved Lake Erie in the 1970s and the IJC is confident that with timely action, the U.S. and Canada can save Lake Erie again." To improve Lake Erie water quality once again, the IJC makes 16 specific recommendations to assist governments at all levels in setting phosphorus reduction targets, reducing phosphorus loads from both agricultural and urban sources, and strengthening monitoring and research. In the report, the IJC finds that current knowledge is sufficient to justify immediate additional effort to reduce external loading of nutrients to Lake Erie. In particular, the IJC highlights dissolved reactive phosphorus (DRP) as a primary concern and focuses on the Maumee River watershed as the highest priority for remedial action, recommending a 37 percent reduction for the spring period (March-June) compared to the 2007-2012 average. To help achieve loading targets, the IJC recommends that Ohio and Michigan formally place western Lake Erie on an impaired waters list, triggering a phosphorus Total Maximum Daily Load (TMDL) plan for the western Lake Erie Basin that would also include Indiana and be overseen by the U.S. Environmental Protection Agency. The IJC also recommends that a plan using both regulatory and non-regulatory measures be used to reduce loadings from Ontario watersheds.